Home Startup/Ideas Why should you enter The Start-Up Series? Launched in October 2016 by Startups.co.uk and investment promoters Worth Capital, The Start-Up Series is the UK’s largest seed funding competition, awarding one promising business every month with up to £150,000 in equity seed funding. But, as previous winners attest to, The Start-Up Series is about more than just funding. In fact, The Start-Up Series not only provides valuable early-stage equity investment but also offers business validation from experienced investment promoters, generates free PR exposure, and, even if you don’t win, there’s still so much to gain. To give you a clear understanding of the benefits, we’ve rounded up six of the biggest reasons for you to enter your early-stage business for The Start-Up Series. Get reading and then enter here today. The latest Series is open for entries until midnight Friday 14 September! 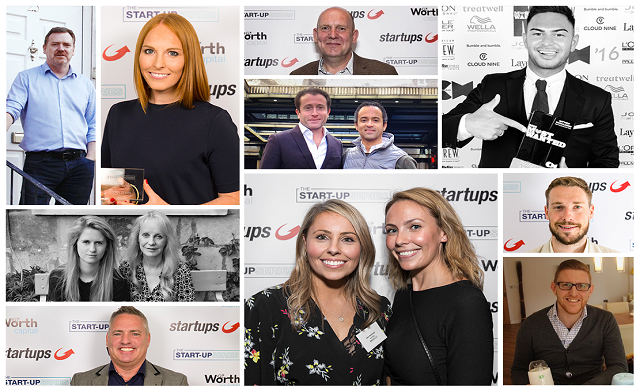 Worth Capital has a proven track record helping new entrepreneurs secure finance and expertise to help transform their ideas into successful, sustainable businesses. The founding team have been involved in funding start-ups for over 12 years and are no strangers to entrepreneurship either. After starting experiential agency iD in 1994 with just £2,000, Worth Capital co-founder Paul Soanes grew the company to billings of £100m-plus, with clients including Unilever and Britvic. He went on to launch Brandspace, a promotional space media owner that operated from 1,000-plus venues including airports and railway stations. Brandspace was sold to Octopus Ventures in 2008. Soanes’ co-founder Matthew Cushen was an investor in Brandspace, managing to multiply his initial stake eight-fold in just four years. A retailer by trade, he has worked with the John Lewis Partnership and served as an innovation consultant for the likes of IKEA, AB InBev & Waitrose. Cushen also shares his thoughts on raising funding and other valuable advice for entrepreneurs growing their businesses in his monthly blogs on Startups.co.uk. And that’s not all. Worth Capital’s business operations director Hayley Etherington has worked with major global names such as Nespresso, L’Oréal and Philips during her eight years at a leading marketing agency, and also has a history of helping start-ups to get a foothold in crowded markets. Her wealth of experience brings a diverse set of skills which add great value to the various start-ups Worth Capital invest in. Alongside investment promoters Worth Capital, The Start-Up Series is brought to you be Startups.co.uk. Established in 2000, Startups.co.uk is the UK’s longest-running independent online resource for anyone looking to starting and grow a business with 450,000 monthly unique users and over 80,000 social media followers. Every winning business is celebrated in an interview feature on The Start-Up Series website, promoted across social media, and will also have the opportunity to appear in follow-up features as we track their progress. A number of diverse, disruptive and exciting businesses have already been selected as winners of The Start-Up Series, using the prize money to fulfil long-held ambitions and meet their growth objectives. Michael Chapman of Builders Bay: “It was harder to raise the initial angel investment than it was to enter The Start-Up Series. The competition was really user-friendly, and Worth Capital were supportive throughout – it was an actual pleasure. Santiago Navarro from Nightly Travel: “I thought it was great. I thought the stages were very helpful, I thought the application was all very clear, it was all very exciting to go from one stage to the other. It often feels like you have to be based in London to benefit from all the big investment opportunities, competitions and resources for businesses in the UK. Not so with The Start-Up Series. Our competition has a history of identifying superb regional businesses from across the UK. There was inaugural winner, Liverpool-based RentalStep – an online property rental platform – which was followed by winner Birmingham-based Not Dogs, a vegetarian fast food brand. More recently, Wales-based custom motorcycle helmet producer Moto Tattoo scooped the prize, as well as Lincolnshire’s UNiBLOCK – a business disrupting the construction sector. And, as those businesses show, The Start-Up Series isn’t looking for businesses in a particular sector. We’ve also had a portable baby food blender (Itsy), premium non-alcoholic wines, champagnes and beers (Outfox), and an online marketplace for sleep-enhancing products (MYZA), announced as winners. Whether your focus is business-to-business (B2B) or business-to-consumer (B2C), there really is no barriers to entry. As long as your company has a compelling proposition, high potential and qualifies for SEIS funding, you could be a winner. What’s more, The Start-Up Series doesn’t expect you to have several years of trading history to prove your business’ potential. In fact, The Start-Up Series is only open to new businesses launched in the last two years, or for those who are yet to launch. It’s not only the winners who benefit from the UK’s largest seed funding competition. Be it an entrant, qualifier, or finalist, many start-ups who have been through The Start-Up Series derive great value from just going through the process and receiving some incisive feedback about their business. Andrew Weaver, Charley Tours, qualifier: “Disappointing news but a useful process nonetheless. Renate Kalnina, Gratuu, qualifier: “I want to say thank you for your feedback- it’s useful and meaningful. Now that you know why you should enter, here’s how you can enter. September’s Start-Up Series is now open for business. Enter The Start-Up Series here by midnight Friday 14 September.